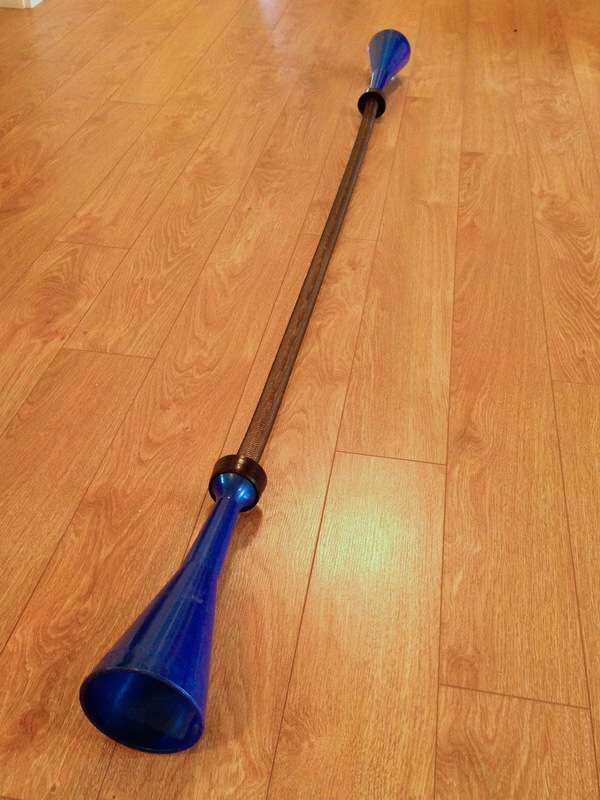 This models how sound travels by moving vibrations. Pairs of students stretch the slinky (or space phone) between them. Flick the slinky forwards to make a wave. See how the vibrations move along as a wave, as one part of the slinky pushes the next part. This is how sound waves move: molecules bump the next molecules along, forming a wave of vibrations. These are called longitudinal waves, and is how sound moves through solids, liquids and gases. With the space phone the added cones mean that the sound of the coils vibrating are amplified, to make a strange, spacey sound. 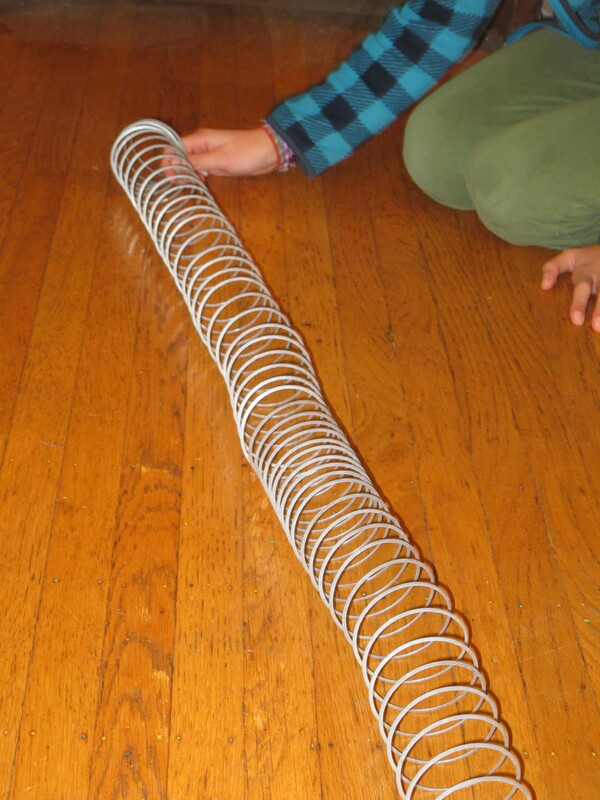 Make a transverse wave by flicking the slinky sideways. Sound waves can only move like this through solids. Look for the wave coming back along the slinky, which models an echo. An echo in a big room, or across a valley, is the sound waves bouncing back. When these vibrating molecules reach our ear, they make our ear drum vibrate which transfers the energy vibrations to our inner ear where they stimulate neurons. The nerve fires and sends a signal to our brain, that we perceive as sound.